(2017). "UNI-SOLVE* Adhesive Remover". In (Eds.) , WoundReference. Available from: https://woundreference.com/app/topic?id=uni-solve-adhesive-remover. Retrieved on 4/25/19. 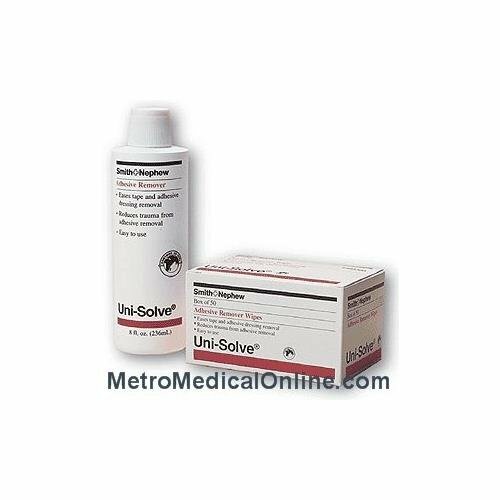 Uni-Solve* Adhesive Remover is formulated to reduce adhesive trauma to the skin by thoroughly dissolving dressing tape and appliance adhesives. It is ideal for removing acrylic-based, rubber-based, and hydrocolloid-based residues from the skin. No CPT codes to display.